Let children be whatever they want to be! 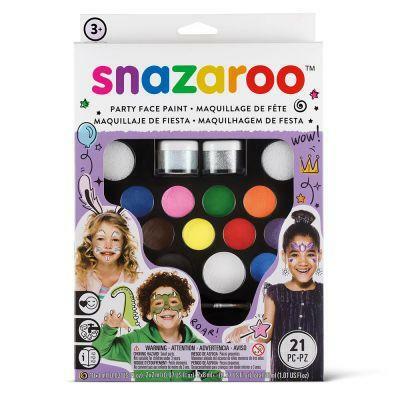 Snazaroo helps you turn everyday play into a magical world of imagination. Snazaroo face-paints are paraben and fragrance free and because only premium cosmetic ingredients are used, these paints are gentle on sensitive skin. 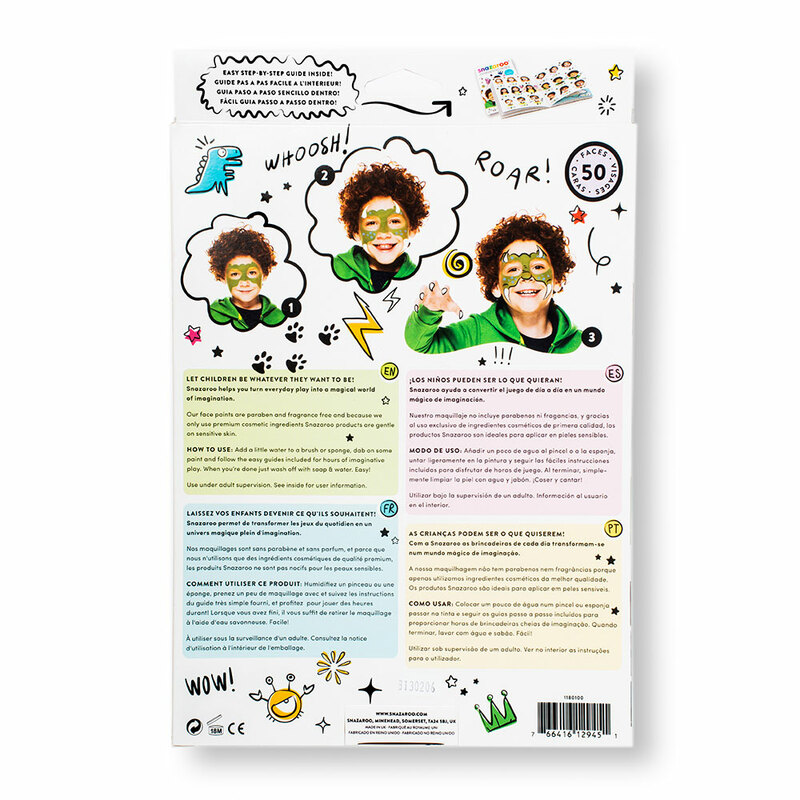 This is the ultimate kit for any occasion, the easy step by step guide to help you transform children into wherever their imagination takes them - from animals to a dinosaur or even a superhero! 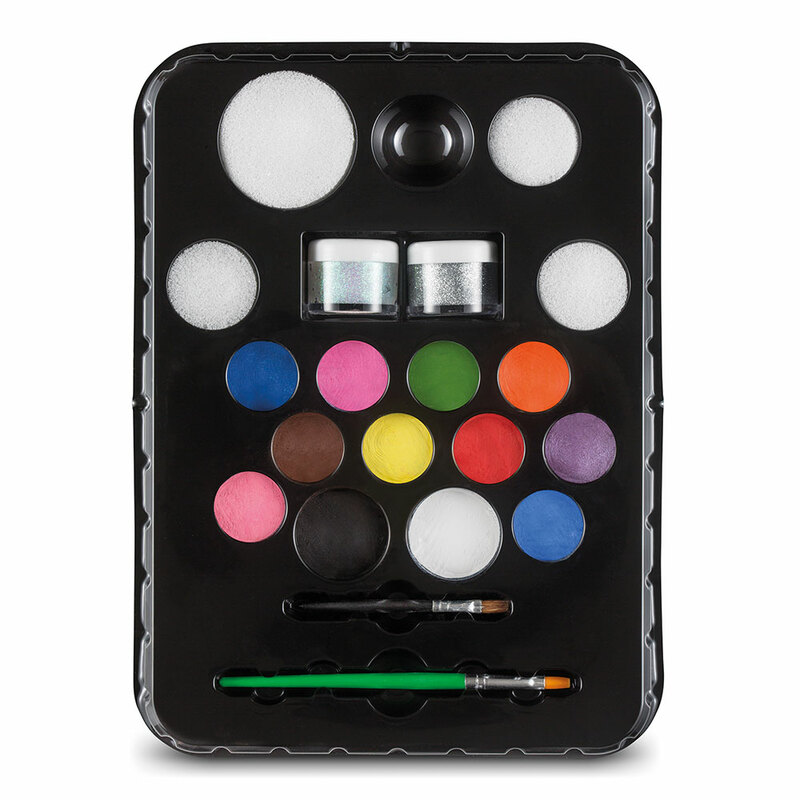 To use add a little water to a brush or sponge, dab on some paint and follow the easy guides included for hours of imaginative play. When you're done, just wash off with soap and water. Easy! Use under adult supervision. Use under Adult Supervision. For External use only. Keep away from sunlight. Store in the original packaging, clean and dry with the lid on. Do not apply on broken or inflammed skin. A patch test is recommended, apply to inner elbow, if an allergic reaction occurs within 1 hour, do not use. Wash off with soap and water. Retain Instructions.